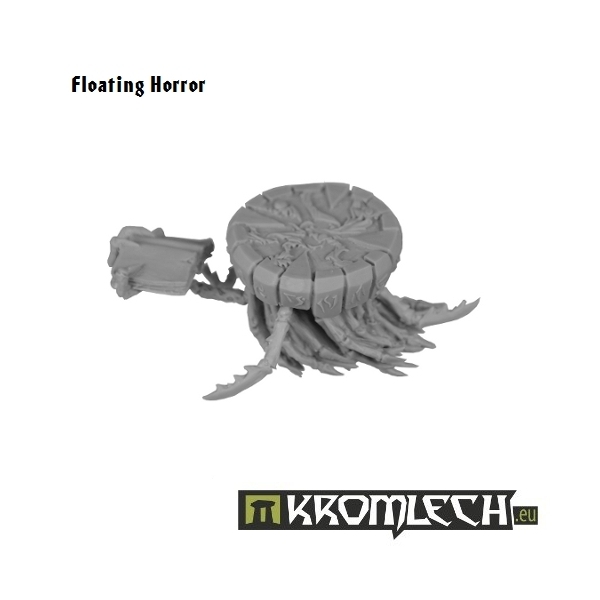 This set contains one multi part Floating Horror miniature complete with Kromlech flying stand and plastic base. You can use it to customize your chaos miniatures. It is especially well suited for mount of demonic or mortal sorcerer. Originally belonging to the T'kth'Y T'yok, Herald Of Fate set it.